First half of week of IT3S’2018 is described here. The second half of the week of Summer School was devoted to intensive courses on Web Security and Pentesting. Web Security course’s instructor is Ievgeniia Kuzminykh (Blekinge Institute of Technology, Karlskrona, Sweden). The course was devoted to analysis of current statement and challenges of modern Web applications. The scope of vulnerabilities treats and attacks to Web application were analysed according to last version of OWASP Top 10. Summer school students focused on such core security problem of web applications as authentication flaws, HTTP protocol manipulations, different types of injection, cross site scripting, password hijacking. The participants discussed the defense mechanisms of applications implement. Penetration Testing and Ethical Hacking course’s instructor is Andrian Piskozub (Lviv Polytechnic National University, Lviv, Ukraine). Students studied the principles and practice of ethical hacking. These items are important for the construction of secure computer systems. Students focused on the ethical hacking concept, such penetration testing methodology, footprinting tools, social engineering issues, logging, reporting. During the practice the main goal was to find as much vulnerabilities as possible. Closing ceremony of ENGENSEC IT Security Summer School was on Friday, July 13. 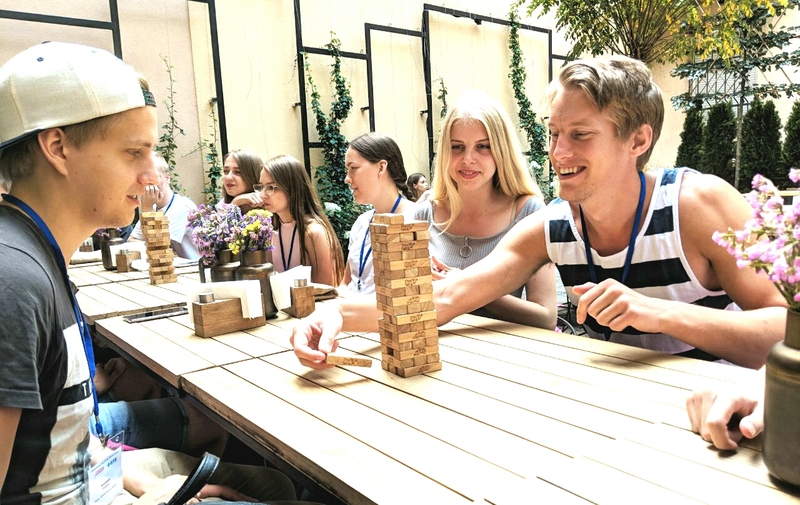 Anders Carlsson, general manager of the ENGENSEC project, and Oleh Matviykiv, vice-rector for research and international relation in Lviv Polytechnic National University, congratulated students with successful completion of Summer school and granted the certificates. The certificates are an official confirmation of getting 2 ECTS after studying the ENGENSEC education programs. Olena Nemkova and Yuri Lakh, organizers and coordinators from Lviv Polytechnic National University prepared a survey for students. They offered to students to leave feedback about courses of IT3S event both educational and social programs. Students did it with pleasure. Also, the students presented reports about quest around Lvov city. The student’s team that received the highest points for quest was awarded by special present from organizers that would remind participants about beautiful historical town in Ukraine. The IT3S united much participants. They spent evening together, exchanged their impressions with each other and became real friends during Summer School. A lot of bright and interesting moments about Summer School will live in their hearts and memories! One of the participant of Summer School has already shared her impressions in the post.